ExxonMobil’s Bayway Refinery serves as one of the East Coast’s most important suppliers of fuel. Conti has delivered 10 projects at the refinery since 2000, including work ranging from environmental remediation to installing upgrades for its site-wide stormwater handling system. 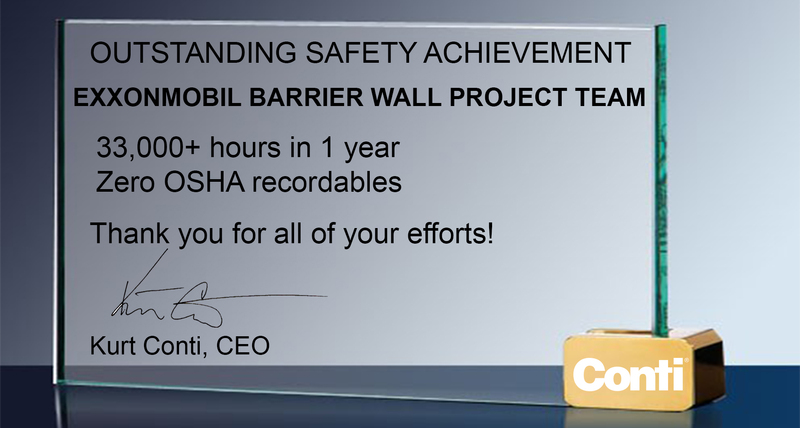 All of Conti’s work at the refinery has required close cooperation with ExxonMobil and strict adherence to the company’s safety and security protocols.